One of the problems with lung cancer, other than its frequent late discovery, is that the cancer adapts and becomes resistant to chemotherapy treatments over time. Once adaption occurs, there is no current treatment available and patients with the disease die from it. Scientists across Britain are undertaking a mapping of the genes of the tumors of 850 lung cancer patients to understand more about the deadly disease. The £14m research at six centres aims to find out how lung cancers become resistant to treatment; they are the most common cause of UK cancer death and one of the top 4 causes of cancer death in the US. 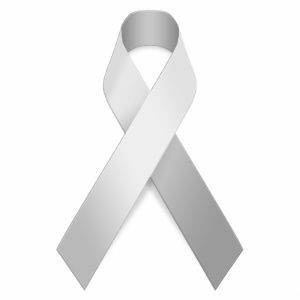 Scientific progress for lung cancer treatment has lagged behind that for other cancers – only 9% of patients survive beyond five years. Researchers in London, Leicester, Cardiff, Birmingham, Manchester and Aberdeen, will create a genetic profile of each patient’s tumour to study how the cancer changes and evades treatment. Patients with non-small-cell lung cancer patients, which make up about 78% of lung cancers diagnosed in England and Wales, will be recruited. Lead researcher Prof Charlie Swanton, of Cancer Research UK’s London Research Institute and University College London, told BBC News: “The main hope will be a much better understanding of how non-small-cell lung cancer changes and adapts over time.” “And by understanding how it changes and adapts over time, I hope we’ll get a better insight into developing better therapeutics to stop those changes and adaptations from happening.” It is one of the largest studies of its kind. Dr Harpal Kumar, Cancer Research UK’s chief executive, said research into lung cancer had been underfunded compared with other cancers, which was why the charity was now making it a research priority. “Typically we’re diagnosing lung cancer patients very, very late,” he said. “By which time their cancers are already very advanced, they’ve often already spread around the body and often that means that those patients are too ill to go onto a clinical study or for us to get access to a sample of their tumour on which we can then do research. Dr Kumar said it was a myth that lung cancer was just a smoker’s disease as 2 out of every 10 lung cancers are unrelated to smoking. 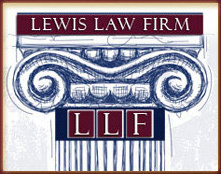 The Lewis Law Firm has a history of representing patients who are diagnosed with lung cancer. If you are in Philadelphia or New Jersey and you or a loved one have been diagnosed with lung cancer contact the Lewis Law firm today for a FREE consultation.